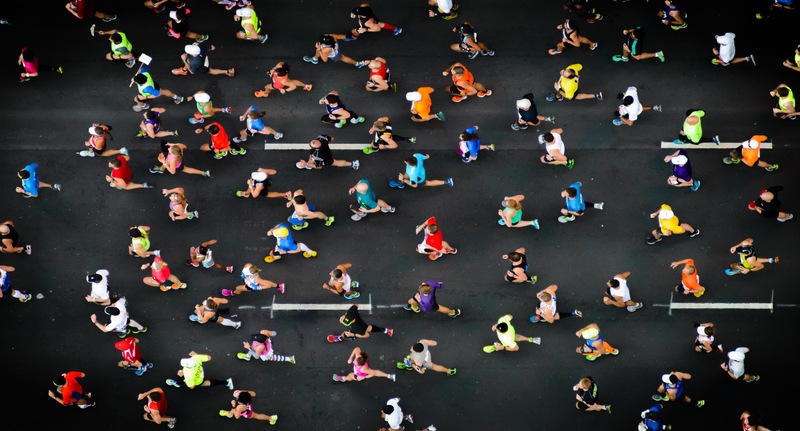 On April 28, 2019, the streets of London will be filled by an impressive array of runners and spectators for the most popular marathon on the planet: the London Marathon. With so much hype around the event, it is becoming increasingly difficult to get a spot in the marathon, especially if you’re using the ballot system. But what exactly are your chances of getting a place in the London Marathon? Spoiler alert: the odds get worse every year. Let’s take a closer look at the number of entries and successful entries. 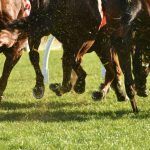 Over the years, the maximum number of ballot entries has been fairly stable: generally around 17,500 runners are able to enter the race this way. 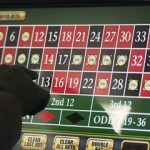 We calculated odds based on these estimates. But the number of people applying for those spots has skyrocketed, especially since the entry process went online in 2009. In the past 10 years, the chances of getting a spot have got slimmer and slimmer, which is a trend we can expect to continue every year. In 2009, 32% of applications were successful, compared to the 13% who were successful in 2019. So if you got a space, count yourself lucky! Previously, there was a scheme where you would get a place if you were unsuccessful for five consecutive years, but the numbers have become so big that it became mathematically impossible! The ballot is open for five days at the end of April into the beginning of May. So for the 2019 London marathon, the ballot was open from Monday April 30 until Friday May 4, 2018. It’s open for five days to avoid issues with religious holidays, work schedules, traveling competitors and other restrictions that could make it impossible for someone to sign up at the first second the registration opens, as well as to avoid the site crashing. When it used to be capped for entry, some would-be competitors were not even able to login in time to submit a ballot. Just like the lottery, winning ballots are drawn completely at random. There is no weighting or preference given. Standard UK entry costs £39, with that price going down to £35 if you’re a member of a UK-affiliated running club. Overseas entries cost £80. You’ll find out in mid-October if you got a space, through a magazine in the post. 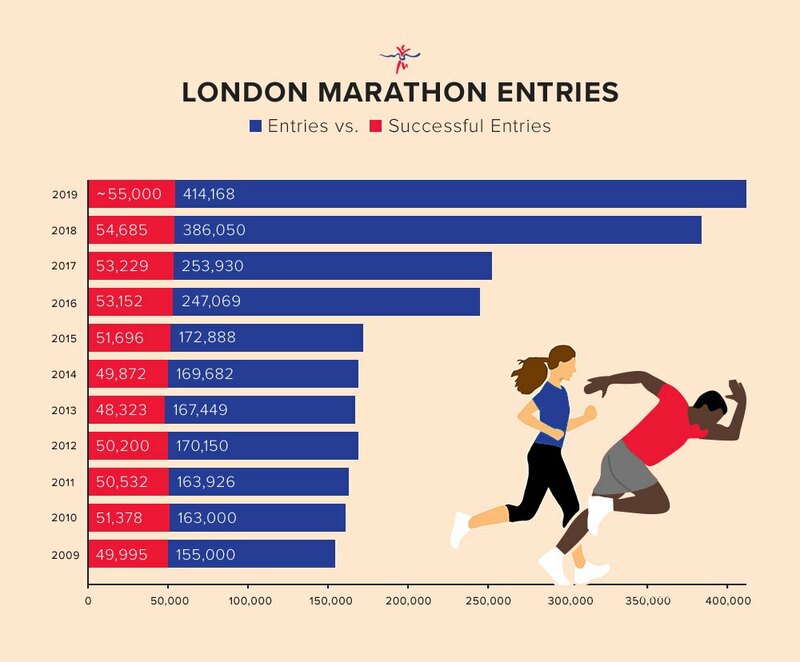 Why is the London Marathon so popular? Thomas Watson, founder of Marathon Handbook. 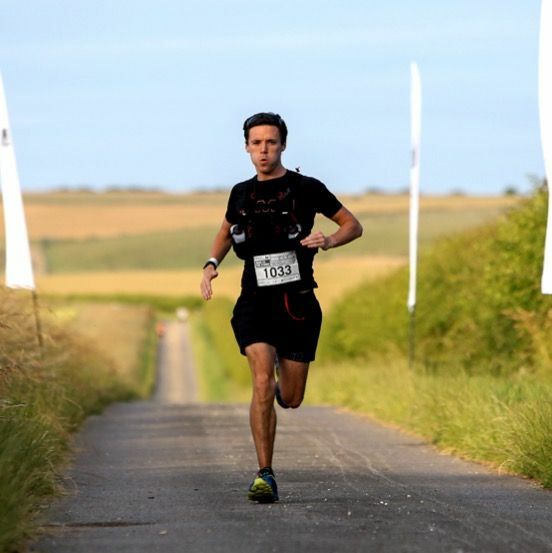 We chatted to Thomas Watson, long-distance runner and founder of Marathon Handbook, about the event. “The London Marathon is becoming increasingly popular year-on-year thanks to the growing trend of distance running. The number of marathon runners each year has grown over 10% in the past 10 years, and has been especially popular with women. The number of women running marathons has grown over 25% in the past 10 years!” he added. There are plenty of other reasons why the London Marathon is a bucket-list event for so many runners. 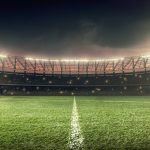 For one, the celebrities involved can be astounding, often featuring the likes of Paula Radcliffe, Steve Jones, and Mo Farah. You can find a list of all the 2019 celebrities here. The royal family also often makes appearances, with notable events including the Queen starting the race from Windsor Castle or Prince Harry making presentations to the winners of the elite races. The historic route through the city is also stunning. Runners will race past landmarks such as Tower Bridge, Canary Wharf, Big Ben and Parliament Square. The crowds make the event even more exciting. Running through East London, for example, you might be offered a beer instead of water. 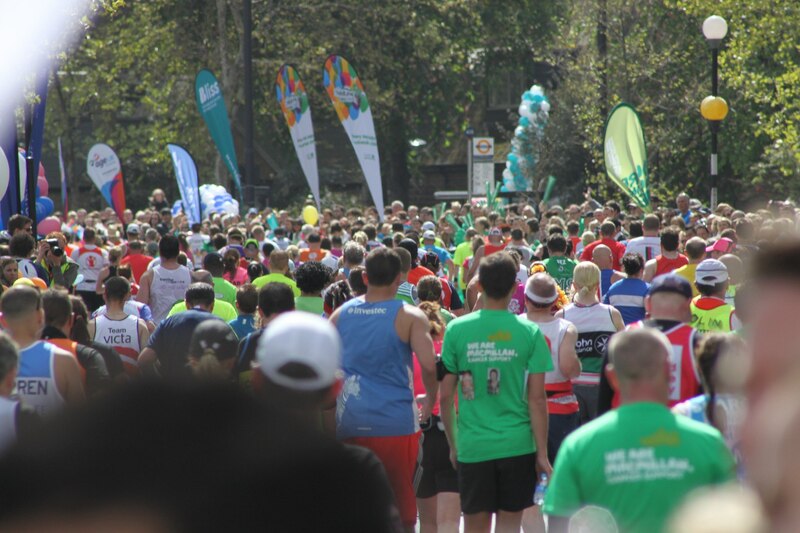 With so many people flocking to the marathon route to cheer the runners along, the vibe and atmosphere of the London Marathon is unlike any other. 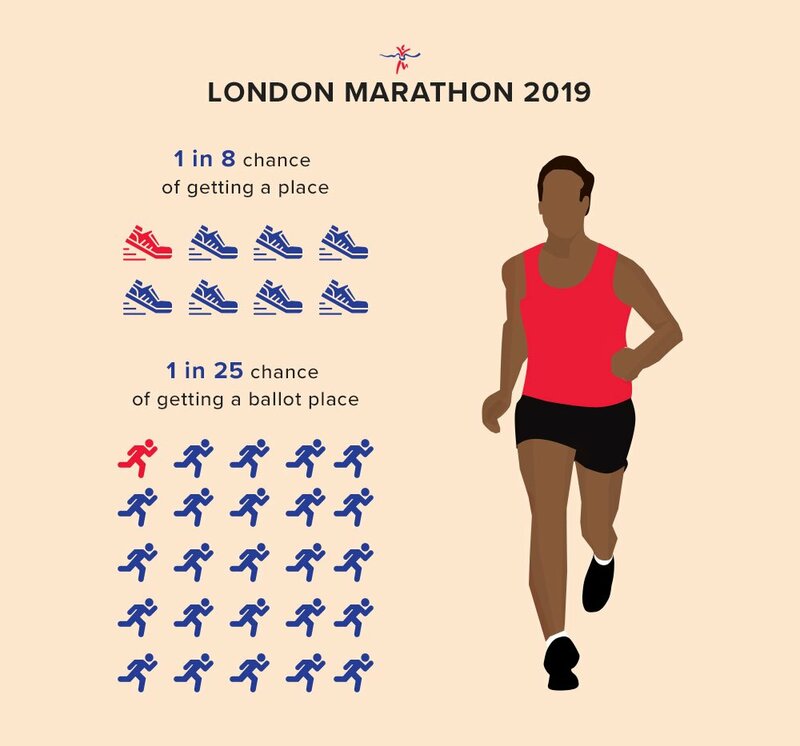 The ballot odds just keep getting longer, making it harder and harder to get a spot in the London Marathon, but there are some other ways that you could grab a way to run. Some tour operators are licensed by the event, getting a certain number of race entries. 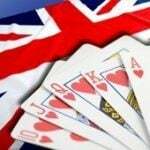 This is ideal for international runners who want to travel to London specifically for the marathon. Even if you’re not a member of a registered athletics club, if you’re good enough you might qualify for a place. “Good for Age” entries grant spots to runners according to gender and age. For example, men aged 18-39 would be expected to run the course in under 3 hours to qualify for a spot, while women aged 18-39 would need to do it in 3 hours and 45 minutes. Meanwhile, men aged 70-74 would need to run a marathon in under 5 hours to automatically get a spot in the event with women aged 65-69 needing to use that same time frame. 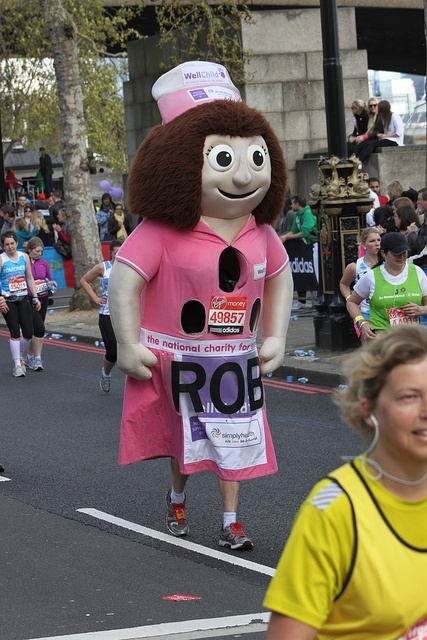 “For the rest of us, the London Marathon website includes a list of charity places. The best bet is to investigate these early and get on there!” recommended Thomas. A charity place is also one of the most popular ways to get entry. It’s how the marathon has broken so many fundraising records. Registered charities will get a certain number of spots, and competitors need to raise on average a minimum of £2,000 to run. Charities are familiar with the process and often coach their runners in how to fundraise, as well as how to train for the event, making it a fun and worthwhile partnership. Don’t worry if you didn’t get a spot in the London Marathon 2019. There are plenty of other amazing marathons around the world you could take part in instead. Thomas has two great suggestions: the Edinburgh Marathon and the Great Wall Marathon. If you’re after the one of the ‘Big Six’ events, the Boston Marathon is a few weeks away on April 15. Although it’s too late to register for 2019’s race, you can start preparing for next year. The Berlin Marathon is on September 28 and is considered part of the World Marathon Majors. With so many scenic marathons taking place around the world, there are plenty of life-changing races to be part of – even if you don’t get a chance to run in London.